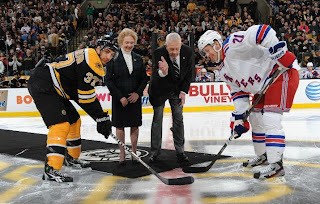 In yet another game that had playoff intensity, atmosphere, hitting, nail-biting tension (especially during the ENTIRE 3rd period), the Rangers rode Derek Stepan's 20th goal early in the first period to a thrilling 1-0 victory over the Boston Bruins up in Beantown on Saturday afternoon. The recap happily resides here. The Ranger defense, led by #2 star Dan Girardi, and Henrik Lundqvist blocked everything the Bruins launched. During the 3rd period, where the Bruins outshot the Blueshirts 12-1, the Bruins launched a fusillade of 34 shots - 12 on net, 18 were blocked, and 4 missed. Showing how hard the Rangers focused on this aspect of their defensive game -- they blocked 29 shots for the game. The Bruins blocked only 8. Foreshadowing. Former Bruins broadcaster Bob Wilson dropped the ceremonial puck with Derek Stepan. 6 1/2 minutes into the game, Stepan won a faceoff in the offensive zone and within seconds converted a shot by Vinny Prospal into the only goal of the game. Stepan became the fifth Blueshirt this season to reach the 20-goal plateau, joining Ryan Callahan, Brandon Dubinsky, Marian Gaborik and Brian Boyle. 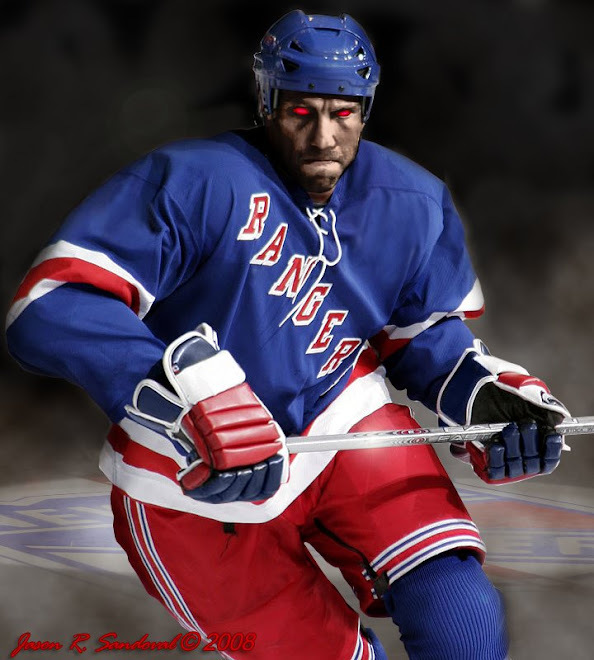 He also became the first Ranger rookie to score 20 goals in a season since Petr Prucha netted 30 during the 2005-06 season. Meanwhile since that horrid 3 game homestand a few weeks ago when the Rangers lost all 3 in a row, Henrik has gone 8-1-1 over his last ten games with a sparkling 1.73 GAA and a sterling .935 save %. And those numbers include the 5 goals he gave up in Anaheim in what may have been the only bad game the Rangers have played since mid-February. 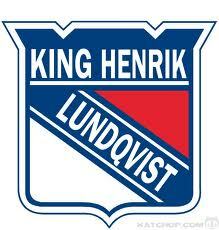 Henrik leads the NHL with 11 shutouts and this past week gave up 1 regulation goal in 3 games. 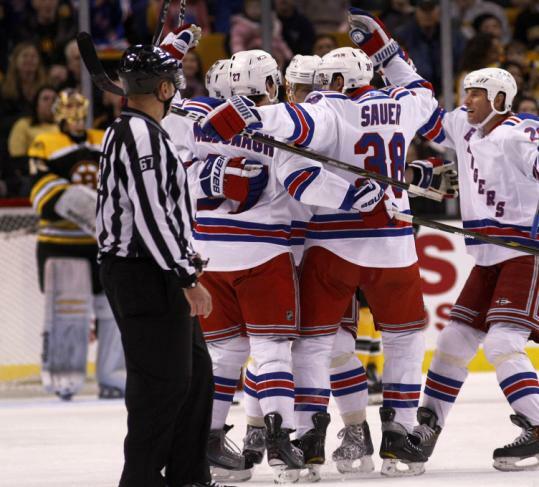 "Fortunately", the Rangers mustered a goal in each game as they gathered 5 points out of a possible 6. The Rangers owned the ice for most of the first 2 periods. 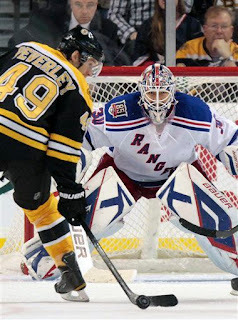 Unfortunately, other than Stepan's goal, they could not solve Bruins netminder, Tuukka Rask. The Rangers finished the first 40 minutes with a 22-14 shot advantage and 11 blocked shots. The defense looked sharp and played physically. The key to the game may have occurred early in the 3rd period. The Bruins came out flying building on momentum they had started to develop late in the 2nd period. In what was a critical juncture about 3 minutes in, Wojtek Wolski and Sean Avery put on a forechecking display that bottled up the Bruins for more than a minute in their own zone. The forechecking continued for another minute with the next shift as the Bruins totally lost the momentum of their initial surge. At the very least, the initial burst of energy the Bruins had shown was thwarted as well as an opportunity to get an early equalizer. It was a statement shift by those 2 players. solace by curling up like the cheapshot baby he is. Later, Avery threw his body in front of a shot from the point and from a sprawling position cleared the puck out of the zone. It was evident that the team understood how to make the necessary sacrifice to preserve the lead and not make any bone-headed plays. And it turned into another game where the Rangers did not give up either a tying or winning or any goal in the 3rd period. Henrik stopped Rich Peverley in close twice. Not that I want to throw cold water on what was a great game, I shudder to think about the Rangers having to rely on such an effort in the playoffs. I shudder over the Rangers engaging the Bruins during an early round of the playoffs because the winner would be beaten up. Everytime a Ranger player puts his body in front of a shot, he risks getting dinged, or breaking a hand, or finger, or ankle or worse. Dubinsky, Callahan and Drury have lost significant time to such injuries the past 2 seasons. Let's not forget the beating that Henrik has taken recently -- Bergeron ran him into the back of the net and shook up Henrik. The collective sighs one could hear reverberated like a cold winter wind through streets of Manhattan. The offense could provide some cushion in these games to take some pressure off. The playoffs will be even more intense than some of these competitive regular season games. Fortunately, the Rangers are heading into the final 2 weeks with a playoff position about to be secured. A win in Buffalo on Wednesday night may be the final points the Rangers need to secure at least an 8th spot and push Buffalo down. It may also mean that Chad Johnson can give Henrik a night off the next night in Uniondale. The rest of the schedule continues to be difficult -- a Sunday matinee in Philly, a team that is looking to right the ship. Then Boston visits MSG and they will have revenge on their mind.